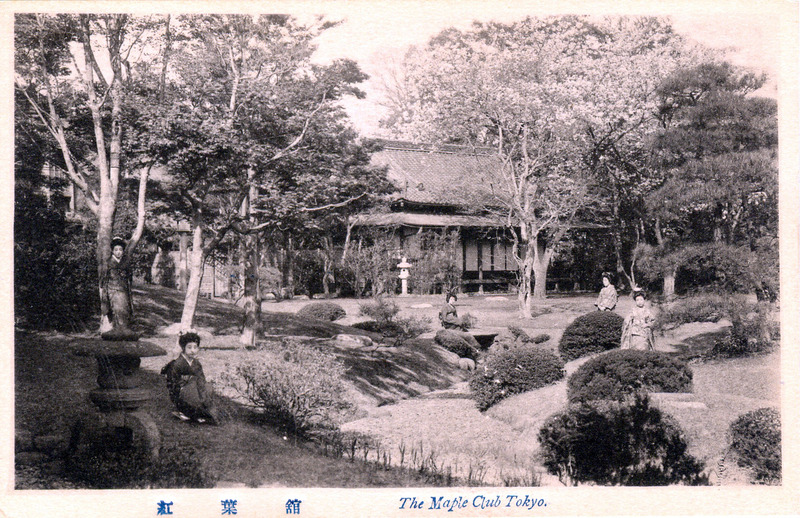 Maple Club (Koyo-kwan), at Koyo-zan, Shiba, Tokyo, c. 1920. The Maple Club (Koyo-kan) was located outside the precincts of Shiba Park, on this map at center-left. 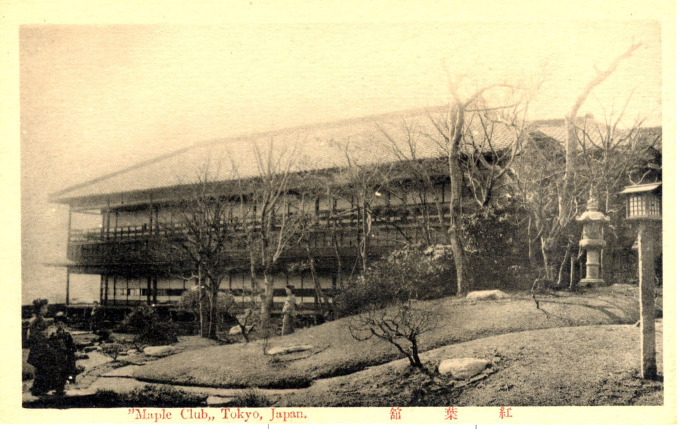 “[In Tokyo, Jan. 3, 1898] I next went to the Maple Club, a place in itself which defies description. The place is a club but such is its beauty that visitors are allowed the privilege of going over it by taking off their boots and paying ten cents. 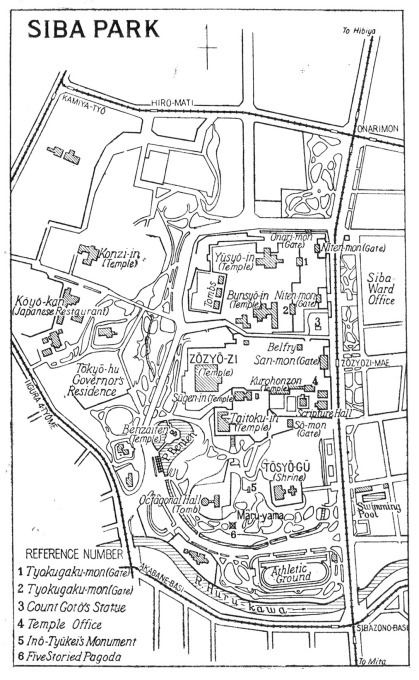 The house is very large for a Japanese one but no doubt there are many members. 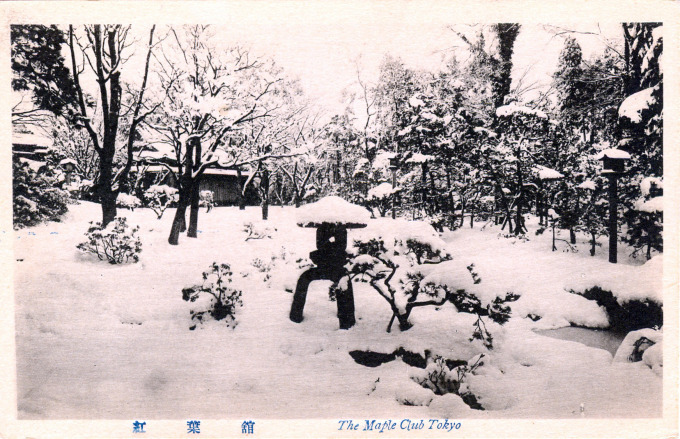 All the rooms are for tea or dinners or other entertainments of Japanese order. 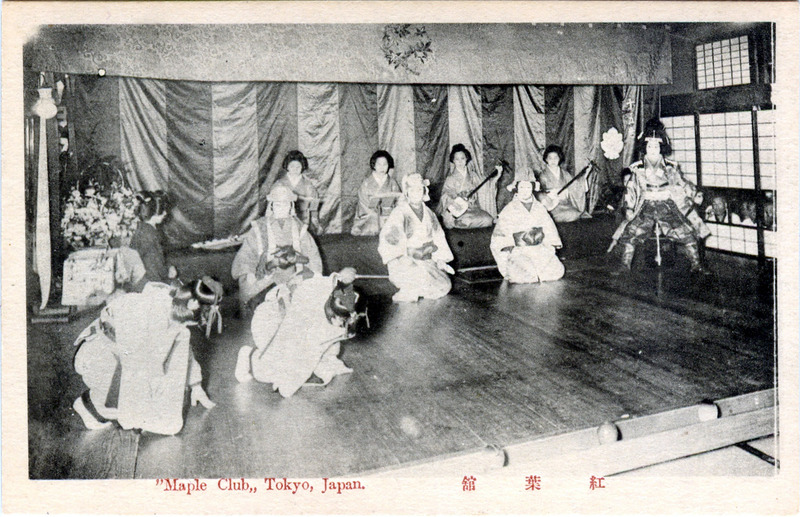 The ‘Maple Dance’, Maple Club, Tokyo, c. 1920. 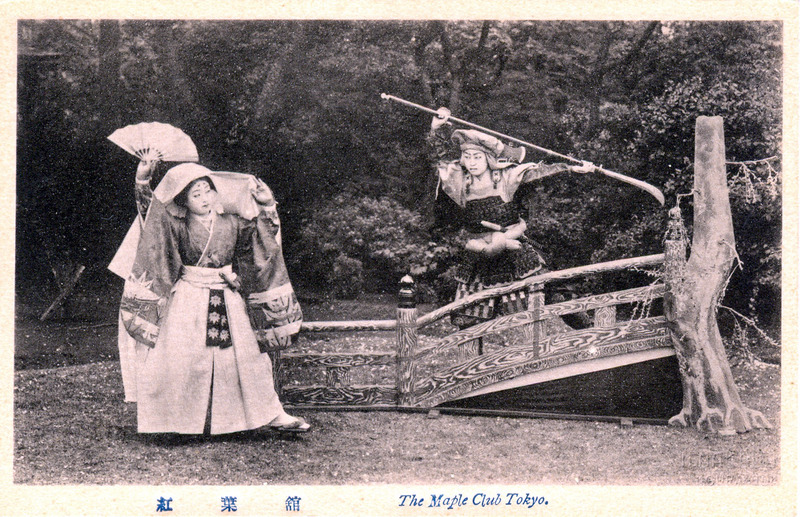 Performers at the Maple Club, Tokyo, c. 1920. 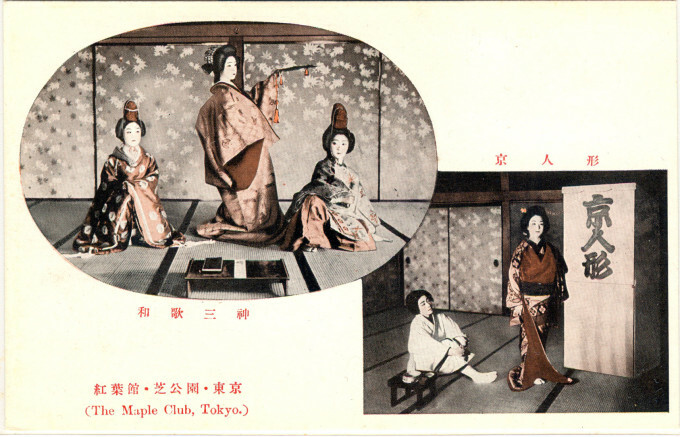 Maple Club teahouse, Tokyo, c. 1920. Snowscape, Maple Club, Tokyo, c. 1920. 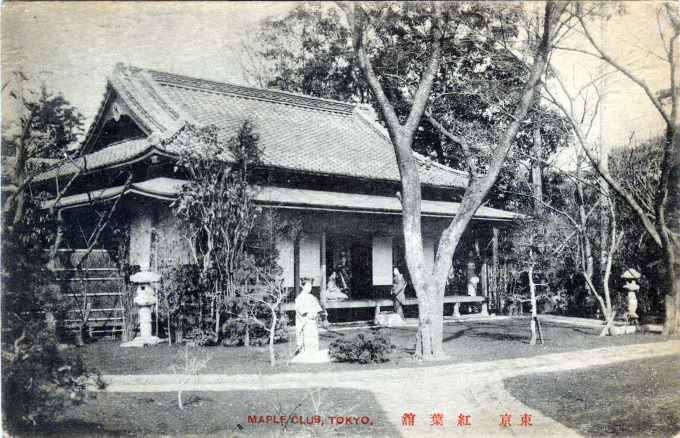 Maple Club, main building, c. 1920.